Many of us have been busy making (and in some cases, already breaking) resolutions for the New Year. There’s a reason you see more diet supplements and low calorie drink options on commercials this time of year. It’s because everyone is gearing up to break those bad habits or lose that extra 10 pounds. Blog about it: The numbers are in and the answer is blogging. Research has shown that 92 percent of business websites that feature daily and weekly blog posts gain more customers. Blogs are the ultimate way to engage in customer interaction, establish your businesses as an expert in your industry and generate discussions and connections. The goal of small businesses should always be generating positive, creative content that is engaging. Get on the phone: But not to make a phone call. Think mobile apps. It’s no secret that America is addicted to the smartphone, so your website needs to be responsive and mobile friendly. When a potential client needs your phone number, give them the ability to find your website from their phone and promptly call, text or email a question or even make an appointment. 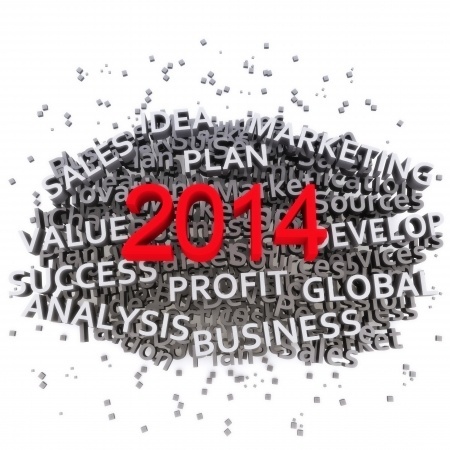 Your goal for 2014 should be to stay as active and on the move as your customer. Know what hashtag means: It’s the little symbol that could. Everyone’s seen the #, but do you know what it means? It was originally used to categorize Twitter updates based on topics, though users have integrated it into everyday use. Used effectively, you can create a separate forum inside Twitter where users can search for your business name in a hashtag that generates a feed featuring all discussions that include your hashtag. Experts predict that hashtags will soon become an effective search engine. If you are ready to make 2014 your best year yet, let the professionals at Susan J. Campbell Copying Solutions make your resolutions a reality. We have the knowledge your business needs to stay on top of digital media trends in the coming year. This entry was posted in Digital Marketing and tagged 2014 marketing trends, digital marketing, digital marketing trends, Susan J. Campbell Copywriting Solutions. Bookmark the permalink.